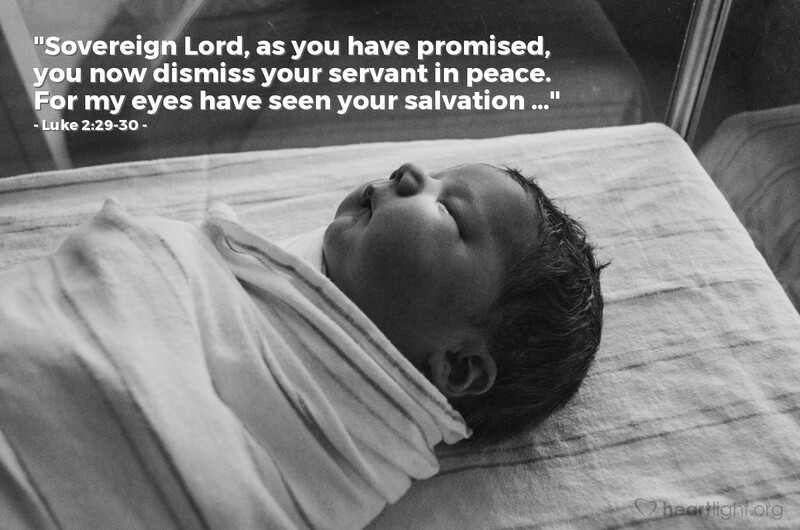 Old Simeon uttered these words when he saw the Christ child. This is our goal as well. While we cannot physically see Jesus who is our salvation and hold him in our arms as Simeon did, we can see him through Scripture, worship, ministry, evangelism, and the work of the Holy Spirit. Let's make it our aim to honor God as the only true God and to following Jesus as our Lord. Righteous Father, please help me to know Jesus better, to be formed more perfectly into his image, and to live with his character. Please, dear God, I want to be like Christ in my character and conduct. I want to be a genuine disciple and become more and more like my great Teacher everyday. It is in his name, Jesus Christ, that I pray. Amen.